Born in 1972 in Tübingen, Thomas Ruh took his first horn lessons in 1981 from Peter Hoefs at the Tübingen Music School. In 1992 he began his studies with Erich Penzel at the Cologne Music Academy. He won several prizes at “Jugend musiziert” in both solo and ensemble categories and was a member of the German Federal Youth Orchestra, the Young German Philharmonic as well as the Orchestra of the Schleswig Holstein Music Festival and the Gustav Mahler Youth Orchestra. Thomas Ruh also played a number of solo concertos, among others with the Polish Chamber Philharmonic. 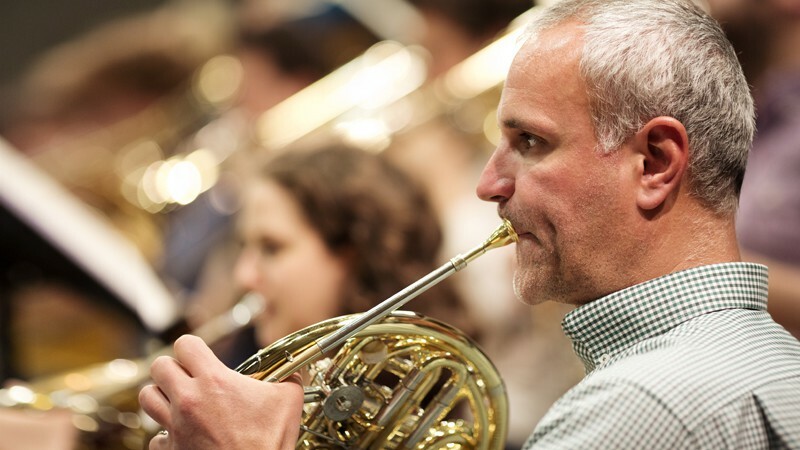 After an internship with the Duisburg Symphony, he served as a horn player with the Essen Philharmonic in 1995/96 and then got held the principal horn position until 1997, when he was engaged as first principal horn with the with the Lower Saxon State Orchestra in Hanover. Since the summer of 1999 Thomas Ruh has played with the Bayreuth Festival Orchestra. Thomas Ruh has been a member of the Symphonieorchester des Bayerischen Rundfunks since April of 2005.